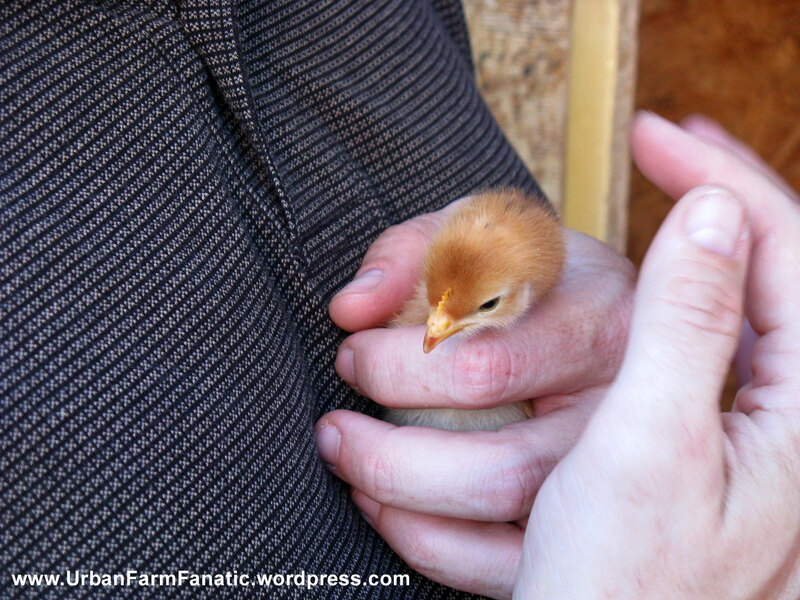 Rhode Island Reds, Cuckoo Morans & Ameraucana – Chicken Status! 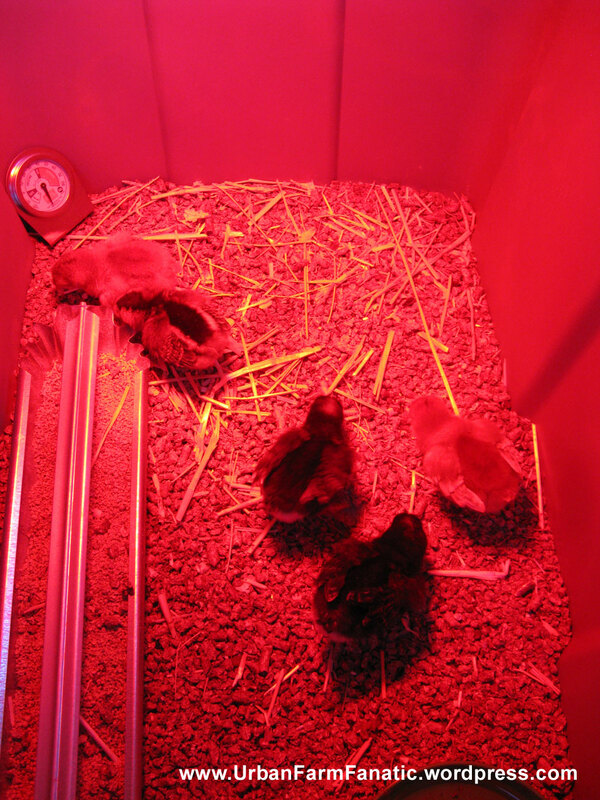 As mentioned earlier, this is our first foray with raising chickens and we were a bit worried.. recently we had a pretty good cold snap kick through here, so I was concerned about maintaining the temperature where it needed to be. But the chicken coop held up well (no leaks) and our breeder light kept the temps well into the 90’s even with potential drafts (wind gusts were hitting 40-50mph). They all came through with flying colors! I’d say a job well done so far! They are now just over a week old. 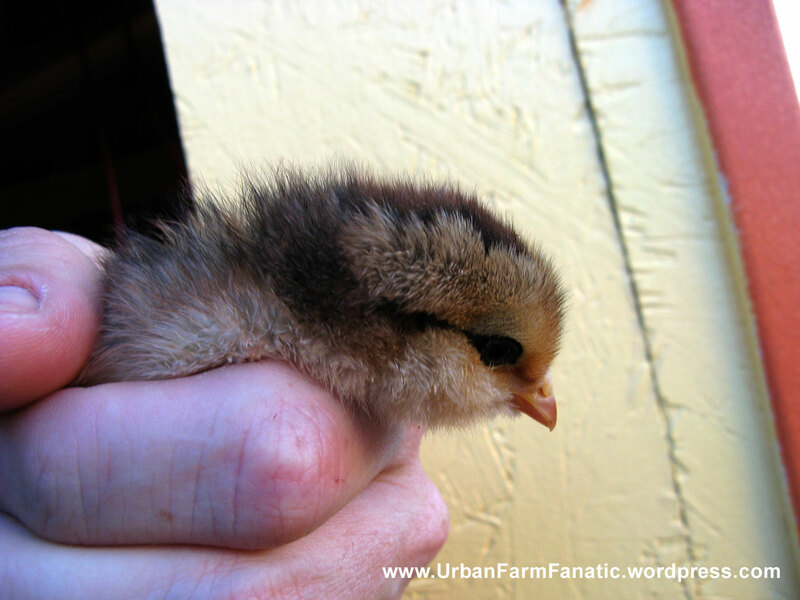 The wing feathers are coming in nicely! Appetites are strong and they like to engage with us now (especially if we’re providing Mealworms for a tasty treat). The next steps will be to ween off the breeder light and reduce the temp about 5 degrees each week. I’m also going to need to add a cover on the breeder bin eventually, to negate accidental ‘jumpers’ from leaving the area too soon. Some observations thus far.. of all the birds, Bluebell is by far the most docile and accepting of being handled. She also has a serious chicken sweet-tooth for meal worms and likes to do a happy dance as soon as she’s got her beak on one. 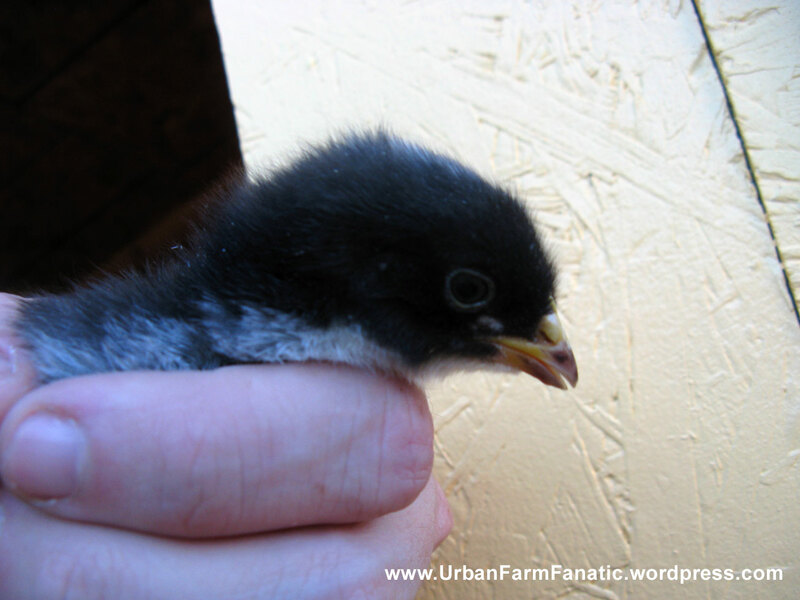 All chicks are starting to form feathers on their wings as well as testing the use of said wings. Each one DEFINITELY has a unique personality! I’ve never had a bird for a pet and found it kinda strange those people who do, but now I’m starting to understand it more and more. The only other item of I’d like to mention has been that they do need stimulation. Chickens I’ve found like to have items to keep them occupied. We’re planning on adding in a straw tower in one corner for them to peck at and later I’m thinking of installing a sandbox in the run for them to scratch around in once they’ve existed from the breeder box. In the next week or two I plan on adding an automatic door to the coop and some perches for them to roost on once they’re older. I’ll post those updates as soon as I have them. 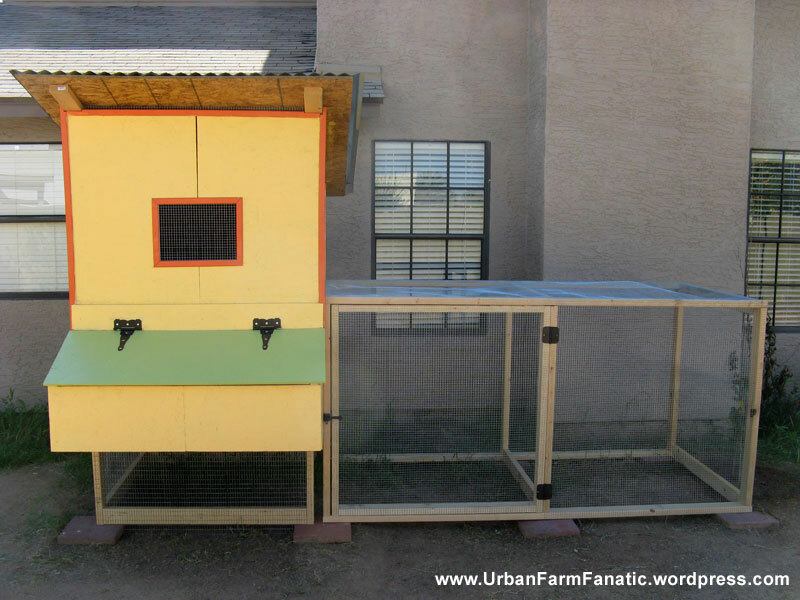 Urban Farm Fanatic Item #1 – We need a Chicken Coop! Here's the completed coop in all her glory. Simple 2x4 & OSB panel construction. 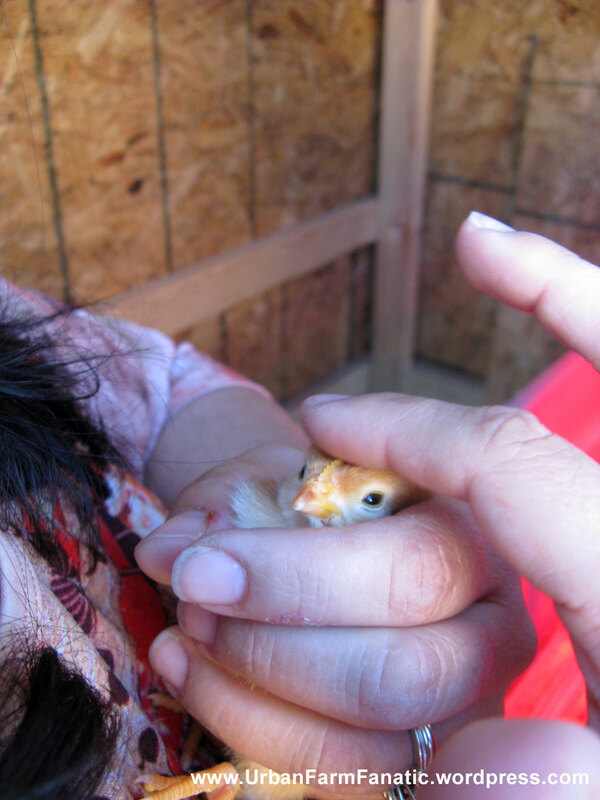 This was our first foray into raising chickens. We’re bound and determined to make our urban farm work. We were worried originally about the legal issues with raising the chickens. Our yard is slightly under the minimum square foot requirement, but the workaround is getting permission from your neighbors (which we got) and keeping the coop/run at least 80 linear feet from the nearest neighbor.. check! Figured the chatty Chihuahua’s in the neighborhood make more of a ruckus then the chickens will, specially since there’s not going to be a rooster. Local regulations differ, so check your area about local code regulations regarding raising fowl. 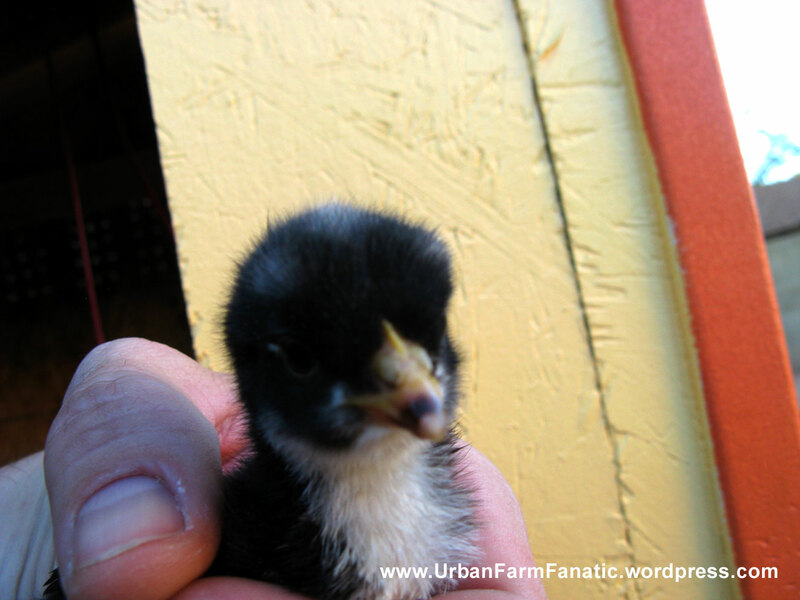 We decided to go to a local seminar on raising chickens and that really helped open our eyes! The eggs you see in stores are surprisingly so far removed from the farm to your dinner plate, its pretty incredible. I highly recommend finding such a seminar or possibly visiting a local farm (organic/free range) to better understand the dynamics of it all. The numerous breeds, the variations of eggs, etc. will leave you flabbergasted. When planning on the coop, there were plenty of pre-built offerings available at the local feed stores. I made the decision to design our own by scouting ideas online via visual reference and taking cues from designs I liked. I then sketched up an idea and proceeded to build the coop/run. The color scheme comes from the wife, who has a good eye for color! You can view the progression of the build in the following video we put together.. Ultimately we came down to getting ourselves 5 chickens in all (originally planned on 3). We got two Rhode Island Reds, two Cuckoo Morans, and 1 Ameraucana chick. Giving us brown, chocolate and blue/green eggs respectively. It was a fun learning experience! You can see the new brood here..
We plan on growing some vines over the run to help shade and protect the chickens from flying predators as well as lay some stone around the periphery to discourage burrowing animals.